Former MMA fighter Paddy ‘The Hooligan’ Holohan has lived his whole life in Dublin’s Jobstown. The area is synonymous now with the water charge debate, following a protest in 2014 which left then Tánaiste Joan Burton stuck in her car for two hours, unable to leave the estate. But Holohan said the perception many people have about the area he grew up in does not tally with the Jobstown he knows and loves. “It’s a great community with a lot of people who stick together through hard times. People know who their neighbours are – in a lot of places now people don’t know who’s living next to them”. People see some of the things that go on, kids speeding around on scramblers and things like that, and they think: ‘Woah that’s a crazy place’. 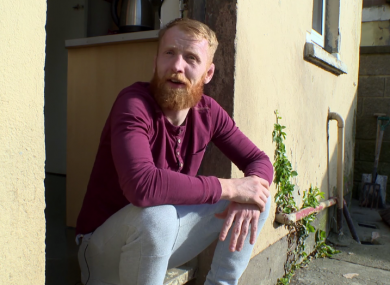 Holohan, who opened an MMA gym in Tallaght six months ago, features in a new documentary due to air tonight on TV3, which shines a light on the reality of living in the Dublin council estate. In the first episode of a four part series, viewers are introduced to the Coomber family who live in a small three-bed house, with eleven people including a six-month-old baby. Darcy Coomber, his girlfriend Dawn and their baby girl Layla share a room in the house with his two brothers. They are on the housing list but have been told they could be waiting 10 years. The documentary also features Darren Monks, a father of five who runs his own scaffolding business. In this episode, he and his family are heading off on a holiday to Spain with half their neighbours. The first episode of This is Jobstown airs at 9pm tonight on TV3. Email “'It made me the man I am today': New documentary highlights reality of living in Jobstown”. Feedback on “'It made me the man I am today': New documentary highlights reality of living in Jobstown”.